Texas is still looking for ways to regulate companies like Uber and Lyft. How are transportation network companies (TNCs) regulated in Texas? Right now, that depends on where you are. Cities have been left to their own devices to decide how to deal with companies like Uber and Lyft. And that’s made for an inconsistent patchwork of policies across the state. So hammering out statewide rules to regulate ride-hailing will probably be a priority for lawmakers when they head back to the capitol in January. 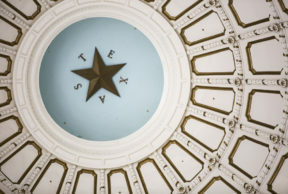 Yesterday, we got some clues as to what issues the legislature will grapple with next year – and they look complicated. The House Transportation Committee asked Ginger Goodin, director of the Transportation Institute at Texas A&M University, about how to manage things like local control and fingerprinting. Lawmakers also wanted to know what other states are doing. Members of Congress have been criticized for leaving Washington without passing a bill to finance the fight against the Zika virus. Since then, the virus has been transmitted locally in Florida. So assembling a funding package will probably top their to-do list when lawmakers reconvene in September. The virus has been linked to birth defects in newborn babies. No Texans have contracted Zika from mosquitos within the state – but experts believe it’s only a matter of time before the virus is locally transmitted. A new report shows how smog formed by oil and gas activity could hurt the health of Texans in the next decade. According to the Clean Air Task Force, smog from oil and gas might send over 300 Texans to the emergency room, and cause almost 150,000 asthma attacks among children in 2025. The lead author of the study, Lesley Fleischman, told the Texas Observer that the study is the first of its kind. The group also concluded that the Dallas-Fort Worth area, Houston, and San Antonio will be among the top 10 metropolitan areas for asthma attacks. The Texas Commission on Environmental Quality will review the report.